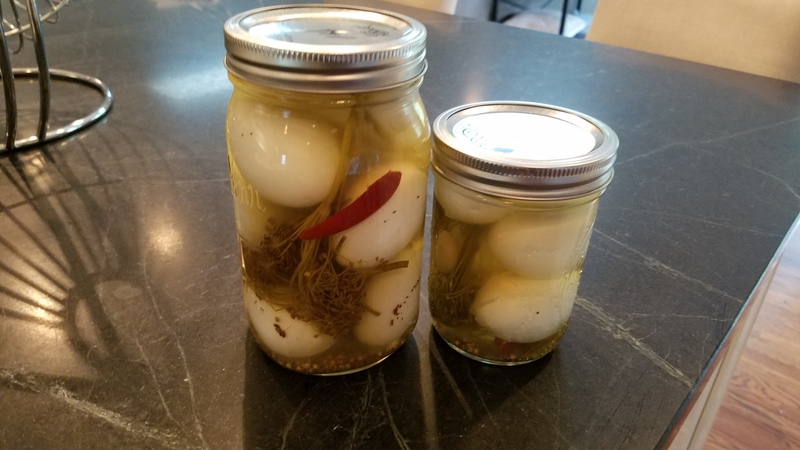 Using the brine from our friend, Fig’s homemade pickles and homemade pickled green beans to make quick pickled eggs. Not recommended to regular pickles, but great for something that will only stay in the jar for a week or two. ← Is it April Fool’s Day?